Gomukh is 18-20 km away from Gangotri. There is no need to arrange food and lodging in this trek only. And food is available at every place at 200 rupees per person. Whereas for other trekking, routes need to carry their belongings, tent, and food. 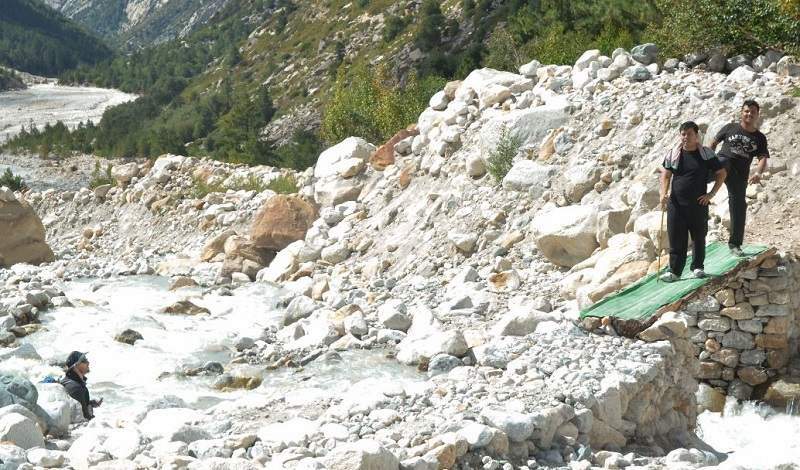 Trekking from Gangotri temple to Gomukh, on the way, there is the place, known as Bhojbasa which is situated at a distance of 8 km from Gangotri, where you find the Hotel of Garhwal Mandal Vikas Nigam which has a good system of lodging and food at INR 200 per person. And there are other options for lodging but run by unprofessional, local people like Dhaba, restaurant, etc. Apart from this, there is a Forest Rest House and Lal Baba Ashram in Bhojbasa. Trekking or going to mountain summits in Uttarakhand. Gangotri is an ideal place to start trekking in this state. Gangotri is one of the four Dhams of Uttarakhand. And, Gomukh trek is the most fascinating and a spiritual adventurous activity for both adventure kind and religious kind of people. Gomukh trek is surrounded by thick forests of the Bhojpatra trees. 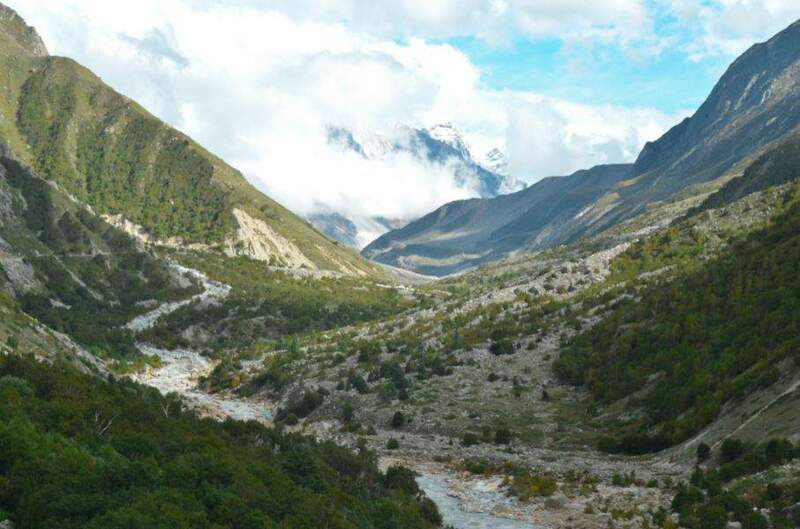 Many trekkers love to trek Gomukh from Gangotri, which is located at an elevation of more than 10,000 feet above sea level, and still increasing elevation continuously of Gomukh due to tectonic plates. There are so many beautiful peaks while trekking to Gomukh like Baby Shivaling, Sudarshan Parvat peaks, Khurchkund, Kedar Dome, Bhrigunpanth, Thalay Sagar, Gangotri Mountains are located more than 22,000 feet high from the sea level. The stunning view of the Middle Himalaya attracts tourist to stay for a while to see again and again. Gomukh Trek base camps are set up at different places near these peaks while doing mountaineering. It takes two to four days to reach different campsites. Trekkers go beyond these base camps. Apart from Gangotri, there are Gomukh, Tapovan, Paradise, Kedraltal, Rudra Gera and many other major trekking routes. 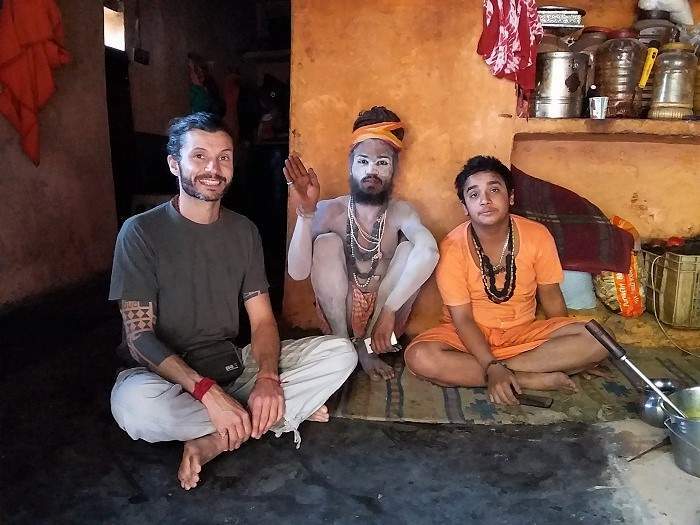 This Gangetic origin is the unique confluence of trekking and pilgrimage. In the winter, all the roads in the Gangotri area, which are covered with snow, open in summer. After this, people begin, which continues till the end of October. Apart from the hotels of the Garhwal Mandal Vikas Nigam, there are many other hotels and Ashrams for staying here. 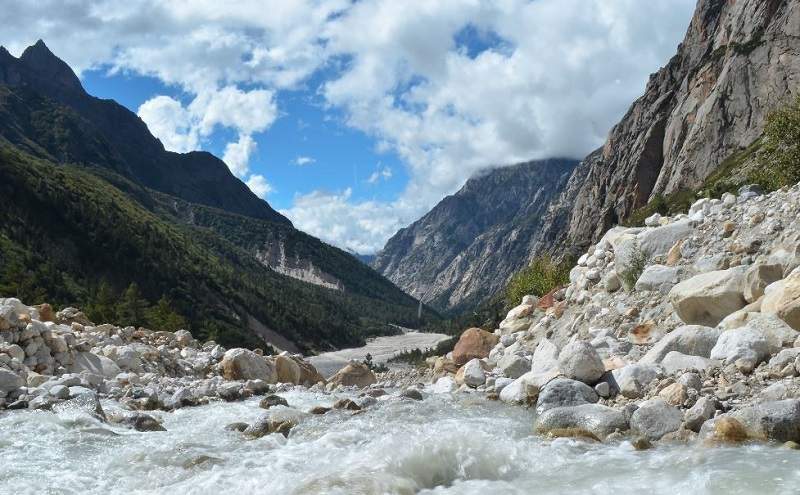 In the Garhwal region, Gangotri is well connected by road. Often, all types of passenger travel from Haridwar, reaching Rishikesh, 25 km away. From here, people reach Uttarkashi in eight-nine hours. The trekking and mountaineering parties stop here and make the necessary preparations. They also rent many types of goods. There are many travel agencies in Uttarkashi who are capable of carrying out all necessary arrangements. It is advisable to manage porter, poultry, cook, guide, etc. Mule, pony or horse join in Gangotri, but they are usually managed by Uttarkashi. Most animals are loaded with luggage in this area. Some people like to wait for a day or two even in Uttarkashi. There is a grand Shiva temple in Kashi Vishwanath Temple, where the mind starts to feel breathless after visiting Shiva temple. Gangotri is just 99 km away from here. En-route, there some famous places like Ganganani, Dharali, Lanka and Bhairogi. People go to Gaumukh the next day. As soon as they reached there, all the people unknowingly start singing Ganga Mai and Bhole Baba Ki Jai. All the people bathing in the section of Bhagirathi river at Gamukh which is located at an altitude of more than 12600 feet. 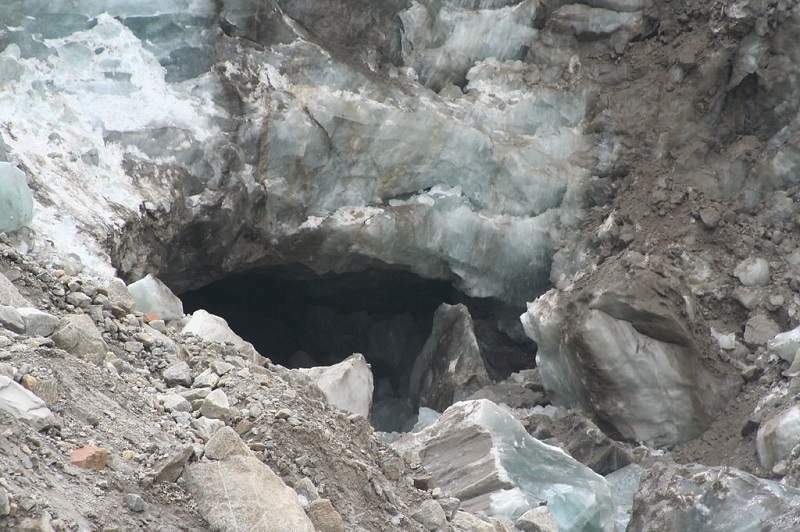 The cow-shaped mouth of Gangotri Glacier is called Gomukh. The trekker’s party proceed hereafter bathing and relaxation. If you go to the left from Gomukh, then after some distance, you find the river water very muddy. Often the pilgrims return to Gangotri from Gomukh next day because of nothing further interesting. Only Trekkers go towards Nandan forest at Tapovan and above. The Trekking team must have all equipment like utensils, stoves, mud oil, matches, medicines, oxygen cylinders, etc. for their tents, towing, ropes, hammers, carrons, rations, food preparation, and food. The leader of the party must have knowledge of the trekking area. It is also necessary to have the experience of walking in the snow and avoiding snow-covered trenches, pits, etc. Every member of the team must have clothes, shoes, hats, glasses, flashlight, bottles, glucose, chocolate, biscuits, toffees, etc. Haridwar platter is overpowered by veggie north Indian nourishment. One will never come back up short on choices to go with one’s hunger with south Indian, Bengali, mainland, and staple feast “thali ” that is exceptionally far-famed everywhere in Haridwar. Being a non-secular goal, non-veggie lover sustenance isn’t open here. There are bunch well-known nourishment retailers that are serving guests for quite whereas and attained a reputation for themselves because of their delectable lip-smacking sustenance. Ask any visitor to Haridwar and they can vouch for this road chow of Haridwar. The amazing sight of effervescent milk in monumental caldron can beyond question stimulate your style buds. The milk is bubbled to such a degree, that it turns pink in shading and is bestowed with malai. 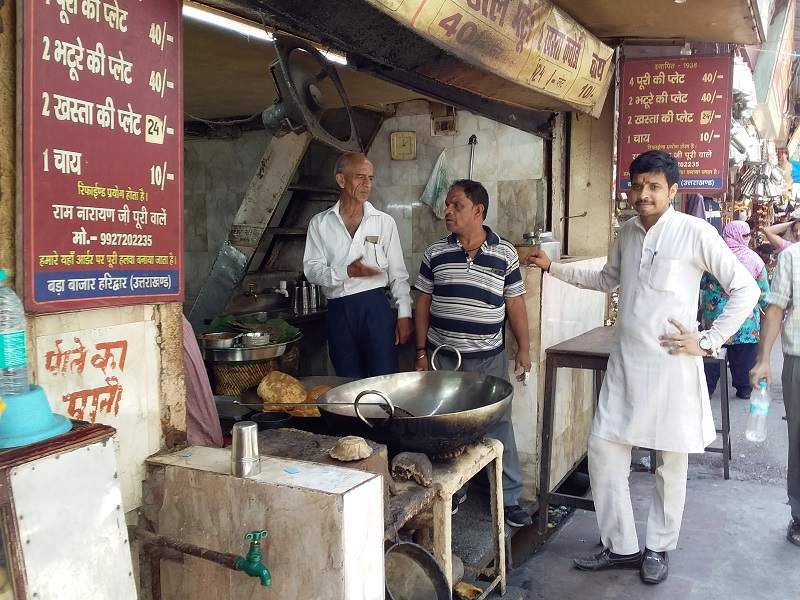 After a good spiritual tour try this amazing place for a glass of creamy Lassi screw-topped with malai at Kaku Bhai lassi Wala close to Har ki Pauri in Moti Bazar to your thirst. 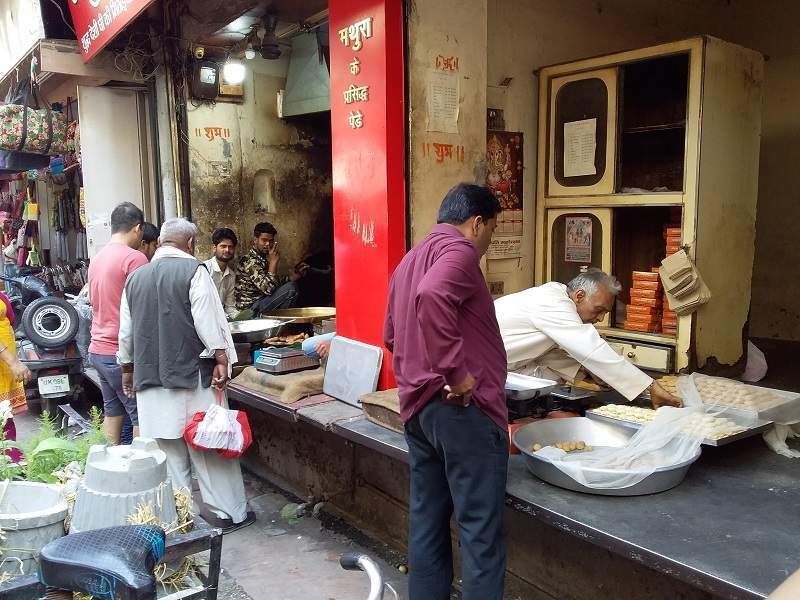 Just like the sweets and milk, the streets of Haridwar are far-famed for commerce delicious kulfis during a form of flavors which will actually leave you looking for additional. Malai, pista, kesar, rose, elaichi, and mango are a number of the highest flavors that you just will attempt when your meal either during a matka or on a stick as you please. And if you are doing not want to eat it alone, you’ll die together with falooda. Other places where you can enjoy thandi kulfi is at Chotiwala and other sweet shops. It provides numerous forms of sweets that embrace Rajasthani, Punjabi, Bengali Sweets and Namkeen. They were as if home-baked sweets and can serve best for the tourists as they’ll style all of them at a time, rather wandering for them. It conjointly provides forms of lassi and tailored juices which can be as tasty as those sweets. While in transit to Lakshman Jhula, Freedom Ganga restaurant is a must visit place. It is appreciated for its simplest food round the nativespace. 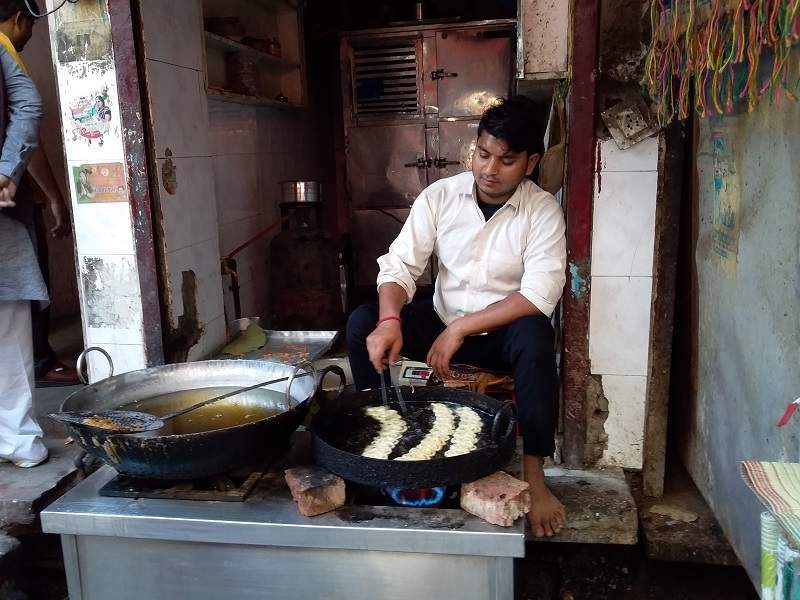 Within the wake of a protracted day of moving and appreciate few of the simplest earth dishes in Haridwar. ‘Mohan Islamic Community Puri Wale’, located at the doorway of ‘Har ki Pauri’. The subzi could be a mixture of cholle and aloo with a tremendous concotation of spices. The flavour of hing can keep you carving for additional. Plus you just cannot miss the suji halwa which is served to the God during the puja. 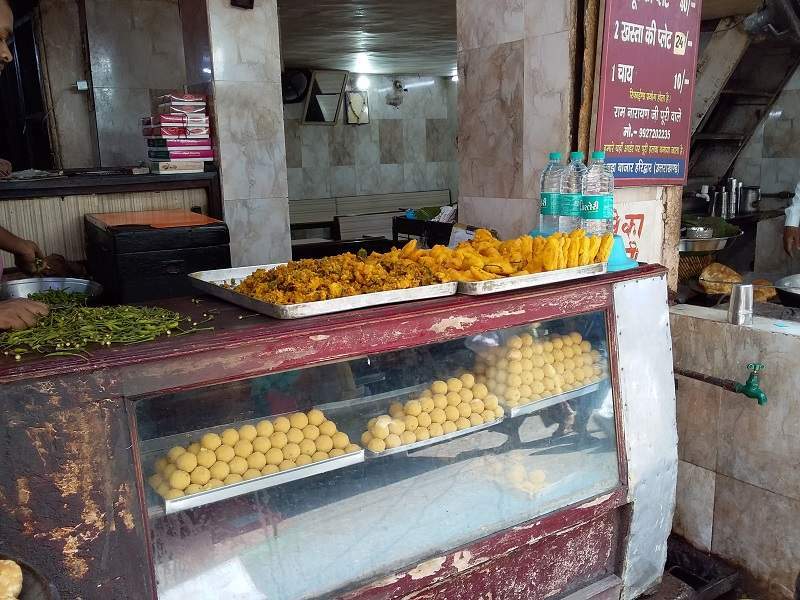 The most awaited and the most famous dish of Haridwar is present in this century-old search in Moti Bazaar that serves the simplest food in Haridwar within the sort of hot, frothy milk in kulhars, malai ladoos and lip-smacking milk cake crammed with dry fruits. 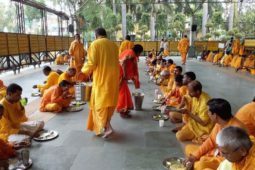 Haridwar is not just about spiritual tour but also about the mouthwatering cuisines which you cannot miss during your Uttarakhand tour to Haridwar. This park is situated in Dehradun, Haridwar and Pauri Garhwal districts of Uttarakhand State of India.this park overall has a total area of 820 square km. The Rajaji National Park is also a home to more than 400 bird species and its range includes Scaly Thrush, crimson sunbird, crested kingfisher Snowy-browed Flycatcher, Rusty-flanked Treecreeper, Pale-footed Bush Warbler, Tyler’s Leaf Warbler, Green Avadavat, and Reed Bunting, Northern Goshawk, Black-necked Stork, Yellow-billed Blue Magpie Greater Scup and White-napped Woodpecker. These are namely some of the few. This national park also preserves many carnivores and tigers like the hyena, royal Bengal tiger, jungle cat, jackal, sloth bears, and leopard act. 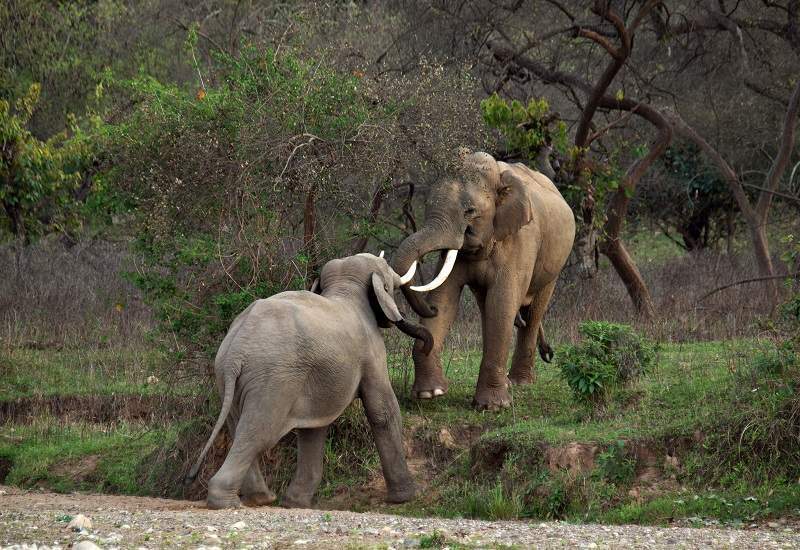 This national park is engaged in many projects to preserve animals like project tiger and project elephant. River Ganga flows in the park making it an important part of the river. This park serves as the first base and platform for the migratory birds when they cross the Himalayas to enter India. Rajaji National Park was established in 1983 which is formed by merging three sanctuaries that are Rajaji sanctuary, Chilla sanctuary, and Motichur sanctuary. Each of these sanctuaries was established during a different time. The Rajaji sanctuary was established in 1948 and the Motichur sanctuary was established in 1964 and finally, the Chill sanctuary was established in 1977. In 1983 government after merging theses sanctuaries named the new sanctuary after well-known freedom fighter and first Governor General of Independent India Raj Gopalacharya who was also popularly known as Rajaji. March to April month is the best month to visit this sanctuary. Climate is amazing with good chances to view wild animals because they have to come at the river for water much time. October month to February is winter season at Rajaji National park. No matter the season visitors always have a great opportunity to see new birds and animals. During the cold winters, you will get the opportunity to see birds like White Capped, Plumbeous Redstarts and Himalayan and Pied Kingfisher. However, during the monsoon period, the park remains closed. This is because the forest gets a sloppy and better view is restricted due to heavy rains, however, the landscape looks green and surrounded by the beauty of nature. Entry fees vary from person to person like it is Rs. 150.00 per person for 03-hour Jungle Safari at Chilla Range whereas for the foreign visitor it is Rs. 600.00 per person for 03-hour Jungle Safari at Chilla Range. The Jeep safari at Rajaji National Park is the best opportunity to see the entire park as it is large and can be tiring. It provides an opportunity to see peacocks, groups of spotted deer or cheetah, monkeys, Sambhar, Elephant, and many other animals and birds while moving around comfortably in a safari. Jungle Safari or Jeep Safari is open in two ranges that is Chilla Range and Motichur Range which finally leads to the park. There are certain rules which have to be strictly followed like avoiding bright color clothes as different animals and birds may react differently to bright colors. Silence has to be maintained to maintain a calm environment. Shouting, teasing and chasing animals is also prohibited to ensure the safety of the animals as well. Plastic is prohibited in the park as they support greenery in nature. How to reach the Rajaji national park? A flight from Delhi to Dehradun is available always. From there, the car or bus service may lead you to the destination. Delhi is 230 km away while Haridwar station is only 20 km away. Reaching the Motichur range and Chilla range provides the best opportunity to finally reach the park. Road: Rishikesh & Haridwar are well connected to the major cities of North India through better road network. The Rajaji National Park is situated 220 kilometers from the capital city of Delhi, and several buses are operated by the state government from Delhi, Haridwar, and Rishikesh to National Park. Railways: You can easily reach Rajaji National Park via Haridwar Railway station. You will get regular trains from Delhi, Haridwar Dehradun too. You can take the support of Local Link Express, Haridwar Rishikesh. Jhilmil cave is a wonder of nature located in Rishikesh near Neelkantha Mahadev temple at the Manikoot Parvat. In this temple, a small devotee of Lord Shiva is made for devotees who visit this area. Some saints or known as sadhus live in these caves and follow a holy life. The distance of the cave from Rishikesh is 20 km whereas from Neelkantha is 4 km away. It is usually known as the cave of gurus and many gurus visited this cave. This cave was founded by Saraswati Nijanand swami Ji and is dedicated to Guru Gorakshnath. Alha Udals guru meditated inside these caves followed by many other famous gurus. The name Jhilmil comes from Guru Jhilmila Ji who also meditated one of these caves. HOW TO REACH JHILMIL CAVE? There are two ways to reach the cave. First is a dusty roadway from Rishikesh which has to be followed and other is doing trekking which usually takes 4 to 5 hour or so to reach this place of solitude. Surrounding the cave is a jungle known as Manikoot Kajri Van. The forest is very dense and tourists are usually suggested to leave the area before dark. the elephants are the main attraction for tourists in these forests. The Jhillmill cave does not stand alone. 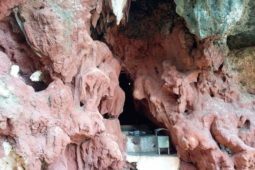 It has three caves situated together. Each one is different in shape and size. 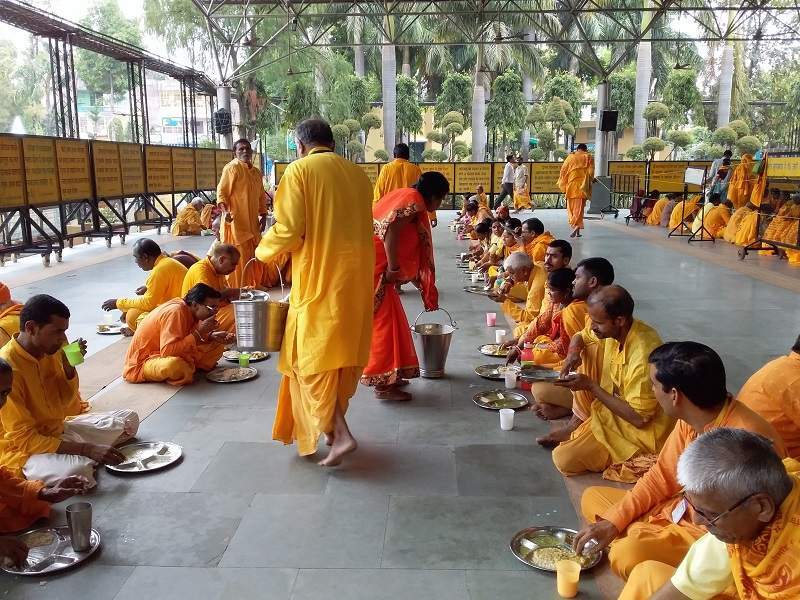 During evening time the gurus read their rituals and prayers and later have food at evening. 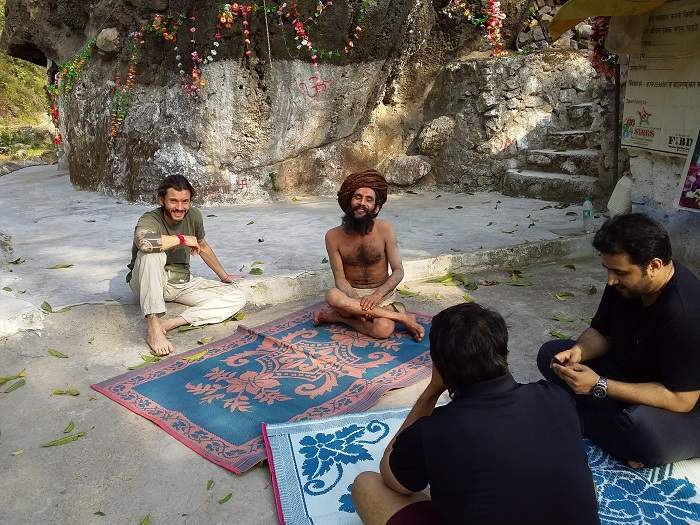 Many tourists, who go for the religious expedition to visit Rishikesh, also visit Jhilmil cave as it is peaceful and away from the hustle of the crowds. This place visited by many gurus which makes it a tourist attraction. This is usually not a busy road and not visited by many. The trekking motorway is not very tough and even safe for seniors. When the Gods and Asurans started churning the ocean for the nectar of immortality along with the potion of immortality they found in the ocean with nectar and other priceless items, which started causing loss to the common man by the outbreak of this poison. Then on requesting the Gods, Mahadev Shiv Shankar poisoned the poison for which his gale got blue and his Jai Jai car began to be called by Neelkanth Mahadev. Transport is available from Rishikesh to go to Neelkantha. From Ramjhula and Lakshman Jhula, you will get a sharing vehicle (Jeep) for going to Neellkantha. And, the fare is Rs 200 / per person for the sharing jeep to go to Neelkanth and return to Rishikesh. Due to narrow roads and curvy of the Neelkantha, it is not appropriate to drive yourself due to the hazardous losses. From Rishikesh takes about an hour to reach Neellkantha. Rishikesh has very beautiful mountains on the way to Neellkantha. And the Ganges River flows through the mountains. Holy water flowing through another high mountain and another yesterday and tomorrow. It has an eye soothing view while traveling to Neelkantha. The road to go to Neelkantha Temple, is very narrow in width and it is not safe to drive due to narrow twisted road. It is better to go by private or share local taxi from Rishikesh. If you have a small child with you, then take the things to eat with you, because of the hilly road, many times may take longer time than expected and Neelkantha Temple is in the middle of the village. Although there are so many food shops but not much gratification. 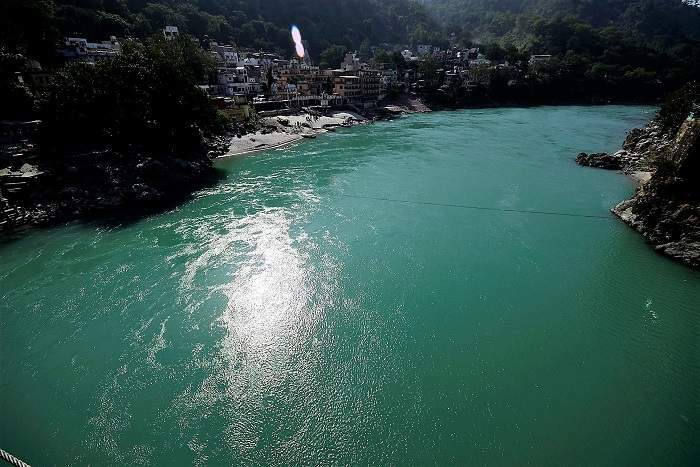 Before getting dark, please try to get back Rishikesh. 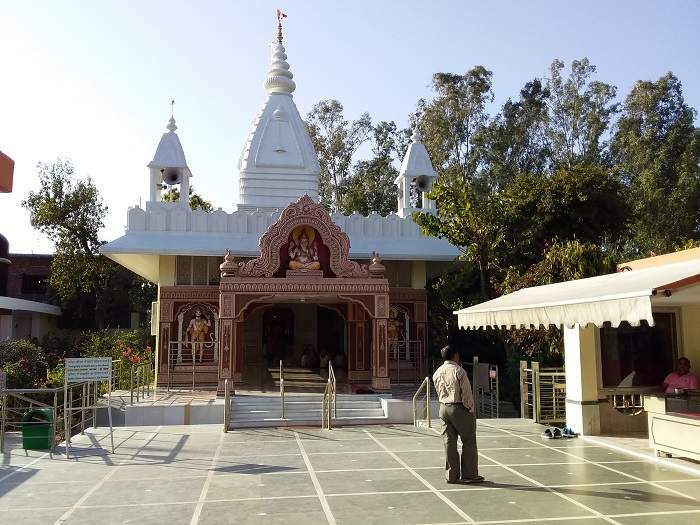 Neem Karoli Baba Ashram is situated 6 km away from the Rishikesh Town on the Haridwar Rishikesh Highway near Hanuman Chowk about 4 km from the Rishikesh town and 10 km far from the Ramjhula Parking. This Ashram was built by Baba Neem Karoli Maharaj himself in the year 1970 & The Ashram covers an area about 5 acres, in the premises of Ashram, there are 4 temples inside, the most important temple is dedicated to Lord Hanuman which was originally built by Baba Neem Karoli Ji Maharaj and the installation ceremony of the principal deity was held by Baba Neem Karoli Ji Maharaj on 10 July 1984 besides the main temple there is a big statue of God Hanuman soaring about 42 ft. from the roadside level & two small rooms are dedicated to his mother Siddi Ma and her wife Jivanti Ma and on the very right corner of the premises of the Ashram, there is a temple of Baba Neem Karoli Ji Maharaj. Apart from temples and statue, there is also a primary school which runs by The government of Uttarakhand. 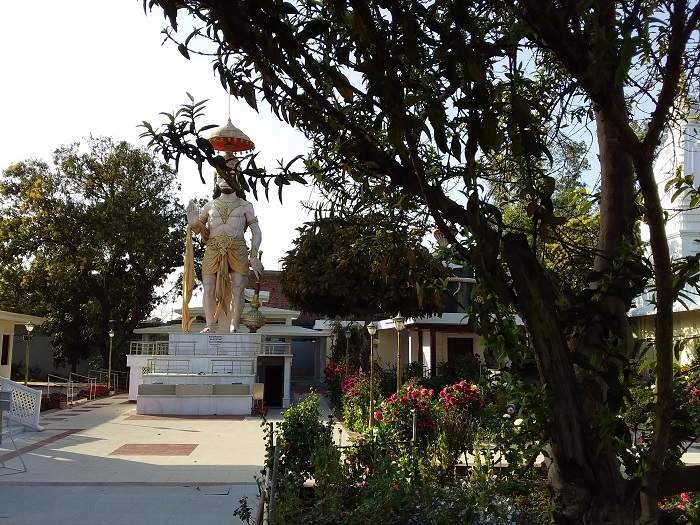 The Statue of Hanuman, Neem Karoli Baba Ashram Rishikesh. It is on the Haridwar Rishikesh Highway route at Hanuman Chowk, 10 km away from the Ramjhula Parking, 7 Km from the Rishikesh Bus Stand & 6 km away from the Rishikesh Railway station. Jolly Grant is the nearest airport to Baba Neem Karoli, it is about 30 km from the Airport and from Jolly Grant Airport, there is a direct flight from Delhi. From Ramjhula Parking easily accessible to Neem Karoli Baba Ashram, it is about 10 km from the Ramjhula Parking. 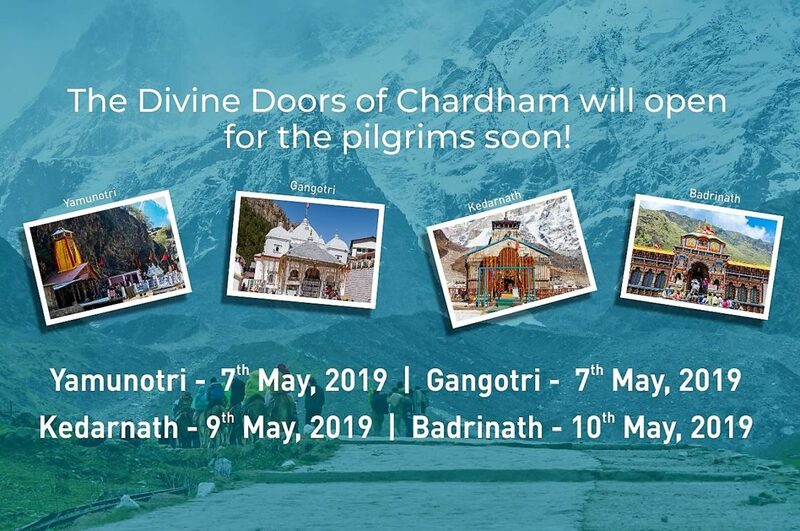 So, there is the private taxi or Tukuk run frequently to this Ashram or you can choose the Haridwar route auto or buses for the Hanuman Chowk. If you are coming from Haridwar, lots of buses and Tuktuk run at every 10 minutes from Hardwar to Rishikesh but you need to get down at Hanuman Chowk which is about 4 km before from the Rishikesh town on Haridwar- Rishikesh Highway route. The nearest railway station is Rishikesh at the distance of 5 km from Neem Karoli Baba Ashram. Where the train is accessible to every corner of the country. Nilkanth Mahadev Temple – This is a very ancient and famous temple of Lord Shiva, which is 32 km from Rishikesh. It is located above a mountain, which is 1330 m high. This temple is surrounded by three valleys, Manikoot, Brahmakut, and Vishnukoot. This religious place is made up of the confluence of two evergreen rivers Pankaja and Madhumati. Bharat Mandir – This temple was built by Shri Shankaracharya in about 12th Century. Bharat temple is located in the heart of Rishikesh on the bank of river Ganga. In the sacred place of this temple is the statue of Lord Vishnu, which has been carved above a Saalagram. Inside the trident, the Shree Yantra on top of the statue has been imposed by Guru Shankaracharya. Trimbakeshwar Temple – This famous temple is situated on the banks of river Ganga. It has 13 floors and many Hindu Goddesses sit on every floor. This temple is not of any goddess or goddess. Laxman is used to go through the hammock in this temple. Laxman Temple – This famous temple is situated on the banks of river Ganges. The temple is painted in sculpture and its walls, for which it is famous. It is said that Lord Rama’s brother, Lakshman had meditated in this place to achieve spiritual enlightenment. Kunjapuri Temple – This temple has great importance in Hindu religion. It is located at the height of 1676 m of the mountain. Kunjapuri Devi temple in Uttarakhand is one of the 52 Shaktipeeth. It is said that when Lord Shiva Devi was taking the body of Sati, then the goddess Sati’s torso fell on this place. Therefore it is called Shaktipeeth. 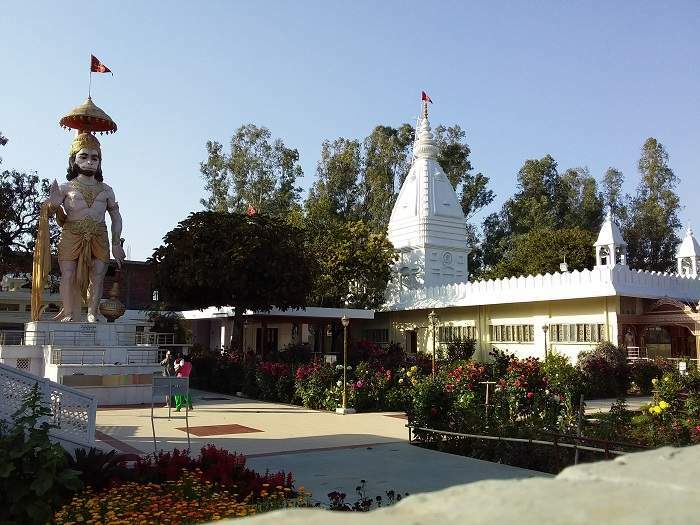 Raghunath Temple – This is a very important place for religious festivals in Rishikesh. This temple is dedicated to Lord Shri Ram and his wife Goddess Sita. This is one of the most important religious places. Virbhadra Temple – This is dedicated to Lord Shiva. This temple is 1300 years old. Here Virbhadra worshiped in the presence of Lord Shiva. Vashishta Cave – This is a very ancient cave where rishis Vashishta used to meditate. Rishi Vashishta was a devoted son of Lord Brahma and he was one of the 7 Saptarishans. 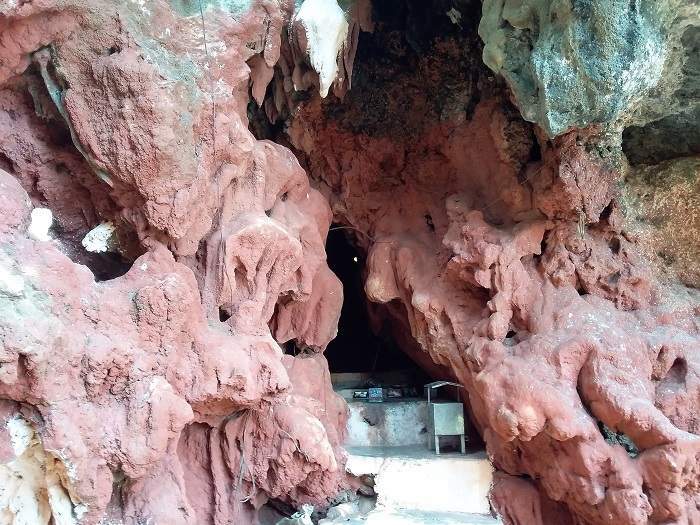 This cave is located in Badrinath Road, 25 km from Rishikesh. Rishikund – It is a lake near the Raghunath temple. Kubash Sant Ji established it and worshiped God with the holy water of the Yamuna filled this lake. Triveni Ghat – This is the confluence of three holy rivers, Ganga, Yamuna, and Saraswati. Here people come to the bath, it is a very famous religious place. It is said that by a plunge into this confluence, the soul becomes pure and all sins are washed away. People take a lot of baths here and come here and at the time of the evening, there is a great aarti of Ganga Ji whose people worship and enjoy. There are many adventure points in Rishikesh. Here is the most famous white water rafting which is famous both in the country and abroad. Here rafting season starts in March and it runs till September. There are many more places in Rishikesh which are backpacking, bungee jumping, hiking, doing, motel biking, rock climbing, rappelling and zip lining etc. 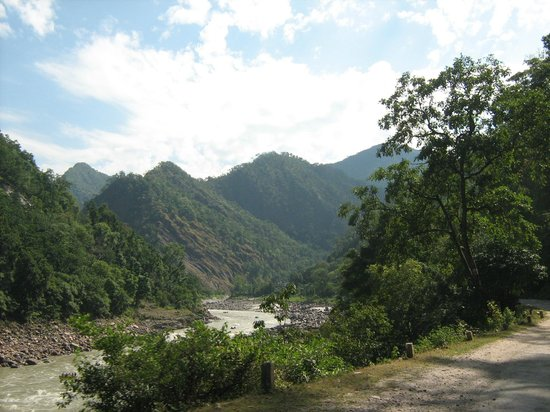 The Byasi is a small village situated on the banks of river Ganges and it is 30 km away from Rishikesh. This is known as an adventure point for rafting and camping in the river Ganges. There is more flow of river Ganges, which is very important for rafting. So this place is very good for rafting. Kodiyala is also a small village, it is 40 km away from Rishikesh in Badrinath Road. It is famous for rafting in white water. This is a very beautiful place for camping. Many tourists visit here. Jumping Hight is also a great adventure spot, it is about 15 km from Laxman Swing in Mohan Chatti. There are many types of adventures done here. People enjoy it a lot. 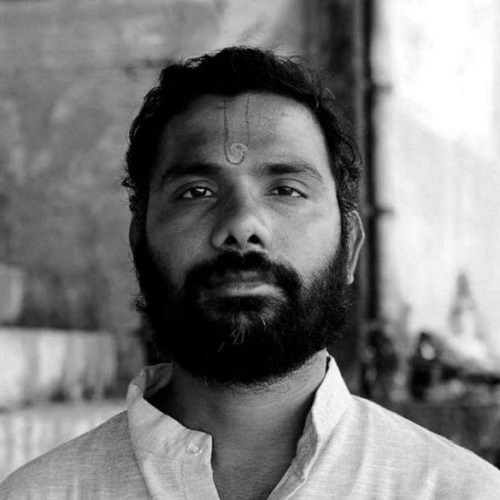 Shreepad Yasso Naik Ji, the Minister of Yoga and Drugs in Rishikesh, opened India’s first AYUSH place on June 4, 2015, They believe that Rishikesh has research of Ayurveda, Yoga, Natural, Greek, Siddha, Homeopathy and a variety of medicines. In this way, Rishikesh is famous for many religious places and adventure spots. Every year, people come here in huge quantities and enjoy all of the activities in Rishikesh and in the Himalaya. Rishikesh is a part of the famous Kedarnath. Khand, Where Lord Shriram had done penance on the banks of River Ganges when he returned after killing the King Raavan of Lanka. Lord Sriram’s younger brother Laxman ji built a bridge over the river Ganga, with a jute rope above the river Ganga. Which is today known as Laxman Jhula. This bridge is 450 feet long. In 1889, the bridge of this jute rope was removed from the iron rope, which was swept away in the fence in 1924. Then again it was made again firmly. This two district is connected to Tehri and Pauri. In the year 1986, another bridge was constructed of such 450 feet length which was called Ram Jhula, which is connected to Shivanand Ashram and Swargashram. Where Lord Shriram had done penance on the banks of River Ganges when he returned after killing the King Raavan of Lanka. Lord Sriram’s younger brother Laxman ji built a bridge over the river Ganga, with a jute rope above the river Ganga. Which is today known as Laxman Jhula. This bridge is 450 feet long. In 1889, the bridge of this jute rope was removed from the iron rope, which was swept away in the fence in 1924. Then again it was made again firmly. This two district is connected to Tehri and Pauri. In the year 1986, another bridge was constructed of such 450 feet length which was called Ram Jhula, which is connected to Shivanand Ashram and Swargashram.